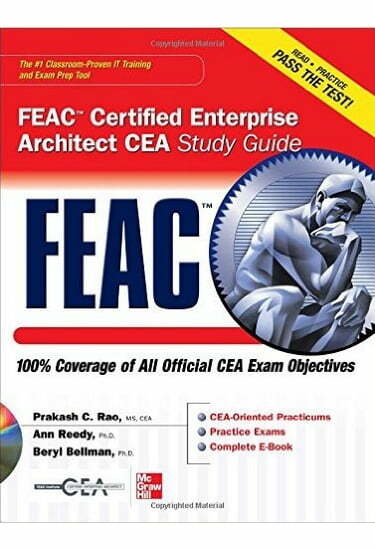 Filled with practice questions, examples, and illustrations, FEAC Certified Enterprise Architect CEA Study Guide covers what you need to know—and shows you how to prepare—for this challenging exam. Prakash Rao, MS, CEA, is chief architect at Metadata Management Corporation. He teaches Enterprise Architecture at the FEAC Institute. Ann Reedy, Ph.D., worked on the development and editing of the early version of the DoD Architecture Framework at MITRE and teaches DoD Architecture Framework for the FEAC Institute. Beryl Bellman, Ph.D., is co-founder and academic director of the FEAC Institute and a tenured full professor of Communication Studies at California State University at Los Angeles. He has more than 25 years' consulting experience in the EA field.